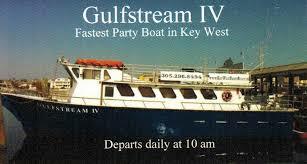 Fish Key West Florida operates 4 custom built light tackle boats. 3 out of Historic Charter Boat Row in Key West, and 1 behind the beautiful Hyatt Key West Resort on Front St. We have professional Captains with MANY years of experience they work hard to ensure a safe and enjoyable day on the water. Each of our Captains fish over 300 charters a year. Our Captains make 100% of their living on the water. Whether you want to fish with your family, friends, clients, or be competitive in a tournament our Captains will give you 100%. Here at Fish Key West Florida, we provide world-class sport fishing charters. We use nothing but the very best custom built boats, electronics, and tackle to ensure you the best opportunity for you to catch a fish of a lifetime. To book … call 1-855-727-4673 for more information. Tell them Fun in Key West sent you!